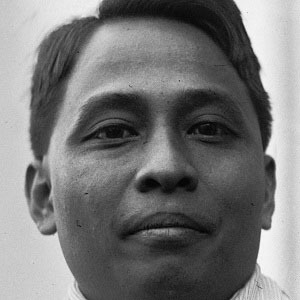 The 5th President of the Philippines who came to power in 1946, one month before his country became independent for the United States, and ruled until his abrupt death two years later. He was the president of the student council while attending the University of the Philippines. He is depicted on the 100 Philippine peso bill and he served as the Secretary of Finance and the Speaker of the House before becoming President. He had two children with his wife Trinidad de Leon, who he married in 1921. He worked with General Douglas MacArthur to secured the independence of his country.